Cyprus has over 20 reservoirs open to anglers and most are stocked. These stocked reservoirs contain more than 15 species of freshwater fish, including trout, largemouth bass, carp, pikeperch, and roach.Yermasogeia Reservoir is located approximately 10 minutes from Limassol and offers silver bream, carp, grey mullet and other species. Asprogremmos Reservoir holds bass, catfish and trout among others. It is the closest reservoir to Paphos International Airport and is one of the largest dams in Cyprus. 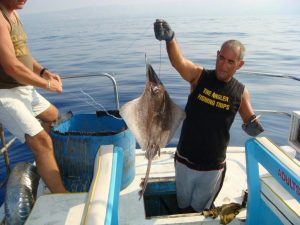 The Cyprus Freshwater Angling Association is a non-profit organisation with a particular focus on protecting dams and preventing illegal fishing. 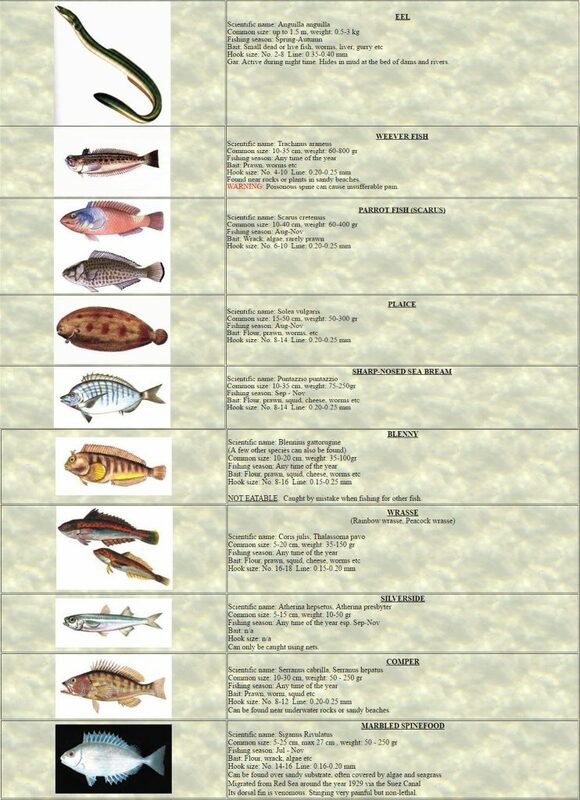 As well as a list of reservoirs and other information, they publish a page of contact details for nearby police stations and Fisheries Department Offices. Sports fishing in Cyprus reservoirs and dams is regulated by the government. It is necessary to have a licence to fish. It is possible to buy a Fishing (Angling) licence online via the Web Portal of the Republic of Cyprus. 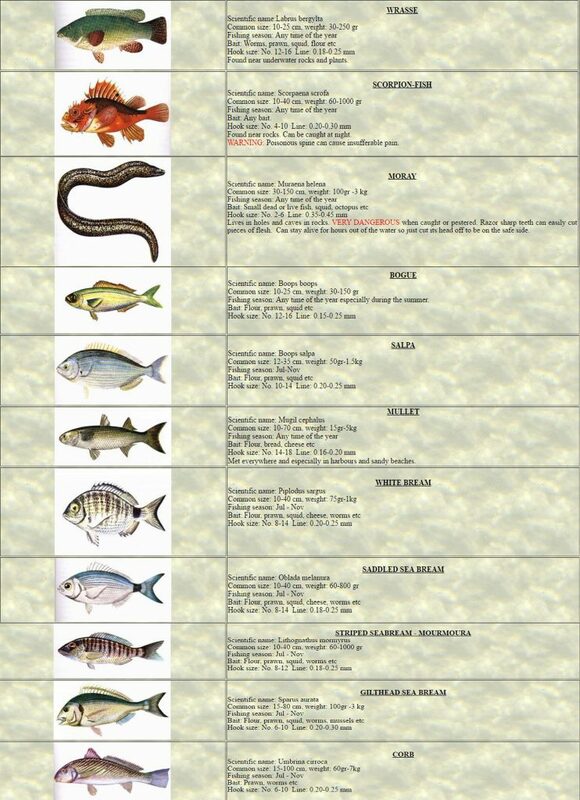 Licences can also be obtained at the fisheries department offices of the Department of Fisheries and Marine Research. Licences are personal – they are non-transferable – and are only issued to people over 12 years of age. A fee can either be paid to fish in a single reservoir, or a higher rate can be paid to access all reservoirs. All licences expire on the 31 December of the year in which they are issued. Short-term group licences are available. Note: fishing regulations often change depending on environmental factors. The rules above are only an overview. Please request more detailed information regarding all restrictions and regulations from the Department of Fisheries and Marine Research. Fishing (Angling) is forbidden in a reservoir, even to holders of valid licences, until it has been declared open by the Director of the Department of Fisheries and Marine Research. Information on reservoirs, their locations, opening dates and times, restrictions and other useful information is provided by the Department of Fisheries and Marine Research. The sea around Cyprus is home to more than 250 species of fish, including snapper, amberjack and tuna. Boats can be rented at fishing shelters and stations. Licence holders must adhere to the restrictions, which regulate the equipment that may be used and the allowed days to fish and, in certain cases, the allowable catches for each fishing outing. 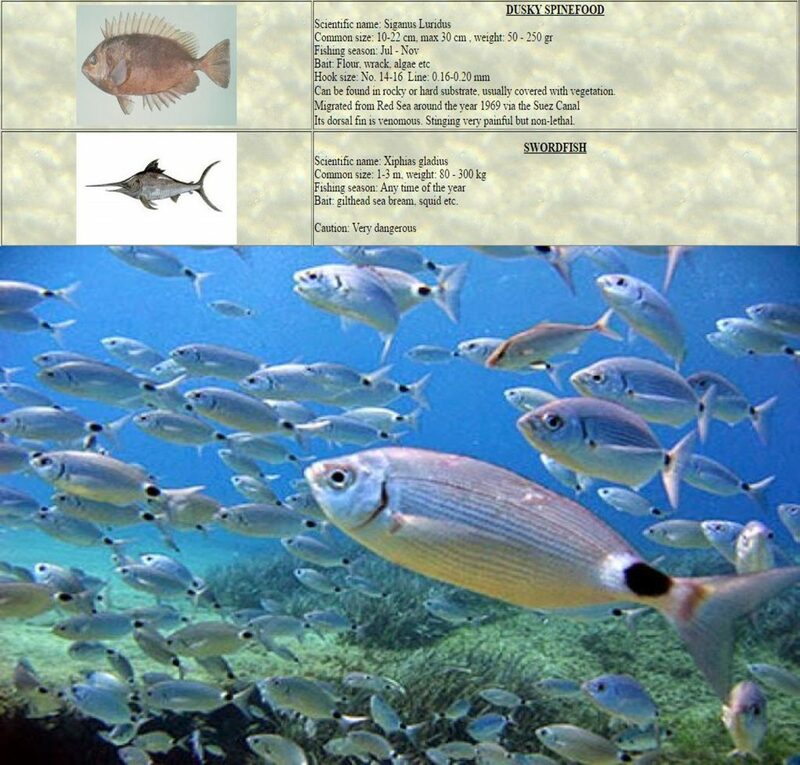 The Web Portal of the Republic of Cyprus offers the ability to buy a spear fishing licence. For up-to-date information on the conditions of spear fishing, it is recommended to directly contact the Department of Fisheries. Note: It is only possible to Spearfish when free diving. No scuba tanks may be used. Cyprus is an ideal place for those who have never tried coarse fishing or those experienced anglers who’s life are bereft without it. The warm sunny climate here is ideal as you don’t have to spend endless hours sheltering under an umbrella (although we do recommend a sun parasol!) listening to the drizzle, even though that can be a time when you are the bravest fisherman on the best stretch of water. However in our experience the fish like the sunshine as much as anglers do and so if you want to catch a variety of fish ranging from bass, Zander, carp, roach, catfish and many more, we have twenty three well stocked reservoirs with a huge variety of healthy unmarked fish for you to catch, photograph and then return to where they are happiest, their dam. In 1989 the angling world five-hour match record was set in Cyprus with 323 Ilb 5 ounces. A total of 177 carp was caught to achieve this record. 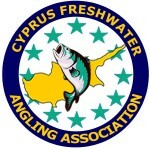 Festivals are organised by Cyprus Angling Holidays, twice a year. The first Association concerned solely with Freshwater Fishing (Angling) in Cyprus has now been created. 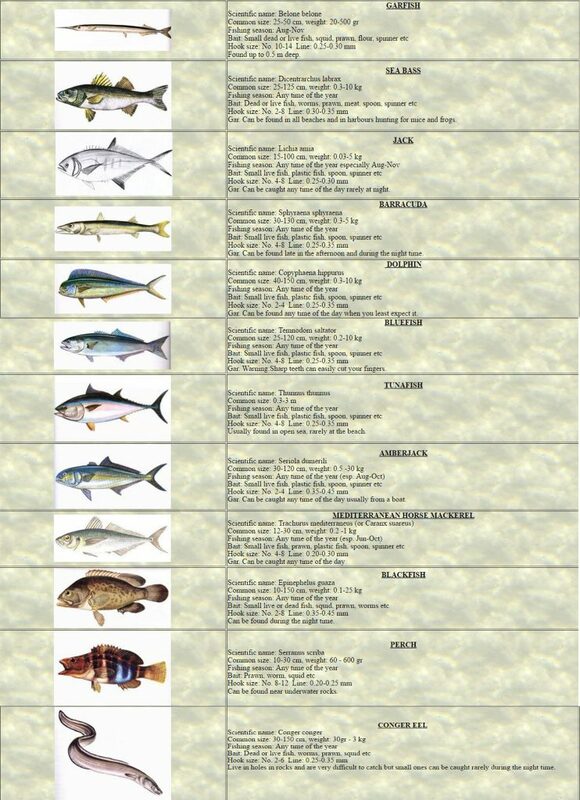 Fishing is a very popular leisure activity in Cyprus as the country has a number of stocked reservoirs as well as exotic species in the sea around Cyprus. Cyprus has over 20 reservoirs open to anglers and most are stocked. These stocked reservoirs contain more than 15 species of freshwater fish, including trout, largemouth bass, carp, pikeperch, and roach. Yermasogeia Reservoir is located approximately 10 minutes from Limassol and offers silver bream, carp, grey mullet and other species.